Get more candy and a better shot at certain pokemon while the event lasts. It's the season of love with Valentine's Day right around the corner, so why not grab your favorite pokemon trainer by the hand and go for a nice walk? 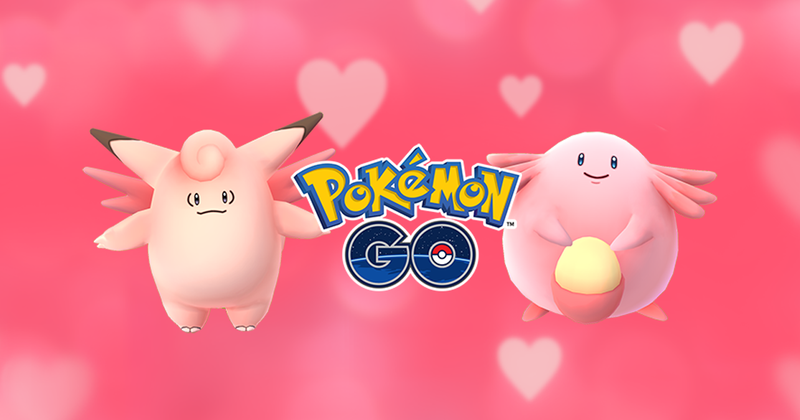 Pokemon Go will even throw in a little something special if you do so between now and February 15, as the game is currently running a Valentine's Day event that features all kinds of nice perks. Candy is never in short supply on Valentine's Day, so you can expect to get your hands on a surplus of it by simply doing as you always do in Pokemon Go. Catching or hatching pokemon and sending them back to the professor will grant twice as much candy as usual. Pokemon set as your buddy will also find candy twice as quickly. You'll also have a better chance of finding pink colored pokemon, such as Chancey, Clefable, and Porygon — truly the most romantic of all pokemon! Been aching to get your hands on those adorable new Gen 2 baby pokemon? You'll have an increased chance to hatch the likes of Cleffa, Igglybuff, and Smoochum during the event. To top it all off, you can lure pokemon right to you with more efficiency, as Lure Modules will last 6 hours instead of the usual 30 minutes. Not a bad little event! You've got between now and 11 a.m. PT on February 15 to make the most of it, so go get some exercise and work towards being the very best, like no one ever was.